Tales From Our Town naturally takes Reading as inspiration, setting and historical source. What becomes clear as you dig in as what a rich source of ideas our town turns out to be. It is a place where pop stars, gentil knights and ghosts all have a place, and stories to tell. Above all. it shows what a diverse and broad range of styles and interests are represented in Reading Writers. This anthology is a really good reflection of a writing group going from strength to strength. ‘Enjoy the stories and poetry in this volume. Some pieces will resonate more than others … by the end, you may feel as I did – refreshed, stimulated and with a new awareness. What more could anyone ask of a voyage?’ Kit Berry, author of The Stonewylde Series. 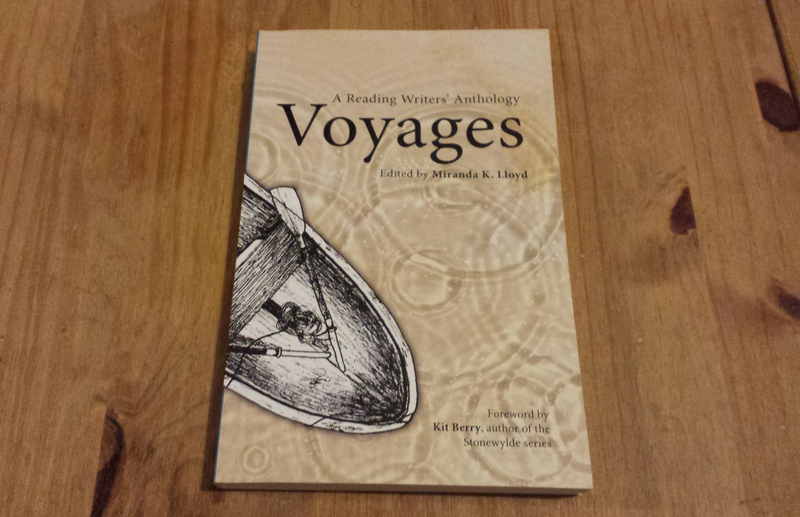 Voyages brings together 40 unique stories and poems written by members of Reading Writers, Reading’s longest-running writers’ group. All profits will be donated to ABC to Read (registered charity number 1102692). This local charity helps children who are struggling to learn to read, and Reading Writers is very proud to support them. Download your Kindle copy here: www.amazon.co.uk/Voyages-Anthology-Miranda-K-Lloyd-ebook/dp/B00LEVQFH6/. 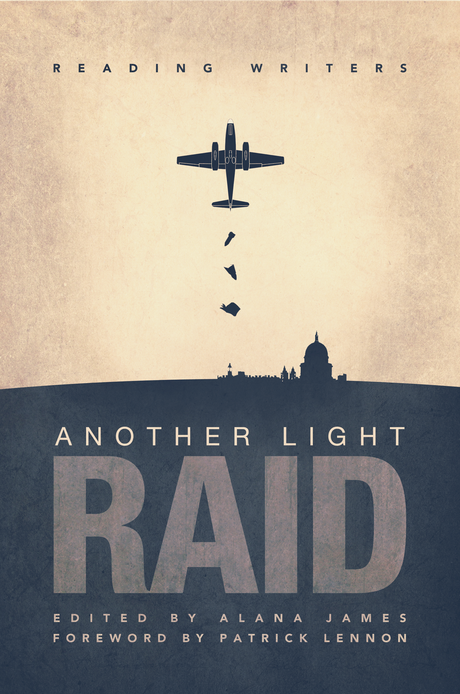 Reading Writers’ anthology, ANOTHER LIGHT RAID, contains poetry, fiction and nonfiction by sixteen local authors and is available both in print and as an ebook. ANOTHER LIGHT RAID is available online here. We also have limited stocks of all three anthologies which can be sent out at a discounted price. For more details, contact us at our usual address.